Press Release – New York, NY – April 22, 2019 – Sichenzia Ross Ference LLP, a leading corporate securities and full service law firm, today announced that it recently closed on an approximately $180 million multifamily real estate portfolio acquisition for one of its clients, a dynamic and growing real estate investment firm. This complex transaction involved the acquisition of several REIT entities, negotiation of a preferred equity JV component and a multi-million-dollar debt facility on the portfolio of assets. The Sichenzia Ross Ference LLP team was led by Real Estate partner Anthony Ficara, partner Mendy Piekarski and counsel Michael Wickersham. Press Release – New York, NY – April 19, 2019 – Sichenzia Ross Ference LLP (SRF) attorney Mendy Piekarski achieves a complete dismissal of a lawsuit on behalf of numerous defendants. Plaintiffs alleged that defendants, specialty finance lenders, induced plaintiffs’ clients to default on their contracts and encouraged the clients to sue plaintiffs. Press Release – New York, NY – April 2, 2019 – Sichenzia Ross Ference LLP announced today that it has represented New Age Beverages Corporation (NASDAQ “NBEV”) in a loan and security agreement with East West Bank which provides for up to $25 million aggregate principal amount revolving credit facility, which includes a $15 million term loan and a feature to provide an additional $10 million should the company choose to utilize it and a $10 million revolving line of credit. Press Release – New York, NY – March 29, 2019 – Sichenzia Ross Ference LLP is happy to announce its Platinum-Level sponsorship for the 2019 ThinkEquity Conference. The conference will be held on May 2, 2019 at The Mandarin Oriental Hotel in New York, NY. Press Release – New York, NY – March 28, 2019 – Sichenzia Ross Ference LLP, a leading securities and corporate law firm, announced today that it represented LiveWell Canada Inc. (“LiveWell”), a Canadian CBD company listed on the Canadian Stock Exchange entering the U.S. markets, in a private placement offering of senior secured convertible notes with institutional investors for total aggregate gross proceeds of $15 million, which includes LiveWell’s previously closed $3 million bridge financing. Press Release – New York, NY – March 28, 2019 – Sichenzia Ross Ference LLP announced today that it has represented Aegis Capital Corp. as sole book running manager in the underwritten public offering of 9 million shares Common Stock of Opgen, Inc. (NASDAQ: OPGN) at a price of $.60 per share for gross proceeds of $5.4 million. Opgen is a precision medicine company harnessing the power of molecular diagnostics to combat infectious disease. The Sichenzia Ross Ference LLP team was led by partners Tom Rose, Gregory Sichenzia and Jay Yamamoto. Please find below an overview of California Senate Bill 826 (the “Bill”) which requires publicly held domestic and foreign corporation with principal executive offices located in California to include women on their boards of directors (the “Female Director Requirement”). Press Release – New York, NY – March 20, 2019 – Nationally recognized securities and corporate law firm Sichenzia Ross Ference LLP announced today that it represented Pareteum Corporation (Nasdaq: TEUM), a global cloud software communications platform company, as it closed a $50,000,000 committed senior secured credit facility with Post Road Group. Under the terms of the credit facility, Post Road provided Pareteum an initial loan of $25,000,000 on February 26, 2019, with additional loans in increments of $5,000,000 to be made as requested by Pareteum before the 18-month anniversary of the initial funding date. The Sichenzia Ross Ference LLP team was led by partners Darrin Ocasio and Avital Perlman and associates Grant Levine and Huan Lou. Press Release – New York, NY – March 11, 2019 – Nationally recognized securities and corporate law firm Sichenzia Ross Ference LLP announced today that its founding partner Marc J. Ross will present a webinar course at the Clear Law Institute, “The Interplay Between State Laws Legalizing Recreational and/or Medical Marijuana Uses and the Federal Controlled Substance Act,” on Monday, March 11, 2019 at 3:00 pm. Press Release – New York, NY – February 14, 2019 – Nationally recognized securities and corporate law firm Sichenzia Ross Ference LLP announced today that it represented Pareteum Corporation (Nasdaq: TEUM), a cloud software platform, as it accepted for exchange shares of iPass, Inc. (Nasdaq: IPAS), a provider of global mobile connectivity. Press Release – New York, NY – February 14, 2019 – Sichenzia Ross Ference LLP Partner Ralph Preite participated on Financial Poise’s “Legal Ethics – Best Practices Regarding Technology” webinar, hosted on February 13th. This webinar series examines ethical issues confronted by businesses in a variety of contexts, from so called “grey areas” to those involving outright corruption. The panelists consider and recommend different approaches to ethical decision-making and the lawyer’s role in advising business clients. NEW YORK, Feb. 13, 2019 (GLOBE NEWSWIRE) — Sichenzia Ross Ference, a leading securities and corporate law firm, announced today that Jeff D’Angelo will join the firm as a Partner in the firm’s Corporate and Securities practice, effective on February 19, 2019. Prior to joining SRF, Mr. D’Angelo worked with publicly-traded company Document Security Systems, Inc. in a variety of roles, including Vice-President and General Counsel. Prior to joining DSS, Mr. D’Angelo practiced corporate law for several years, and also served as Managing Director at Prudential Financial, heading its Western New York financial operation and overseeing more than 60 sales associates and managers. Mr. D’Angelo will represent SRF’s clients in securities law, corporate governance, commercial contracts, general corporate law, mergers & acquisitions, IPOs, technology licensing and corporate finance matters. In 2018, during his tenure as in-house general counsel for DSS, Mr. D’Angelo was nominated for the Western New York Daily Record and Rochester Business Journal’s Corporate Counsel of the Year Award. Mr. D’Angelo holds a B.S. in General Management from Purdue University, and a law degree from the Benjamin N. Cardozo School of Law. Press Release – New York, NY – February 12, 2019 – Sichenzia Ross Ference LLP announced today that it represented A.G.P/ Alliance Global Partners as sole book running manager in the underwritten public offering of American Depository Shares (ADSs) and Warrants of Cellect Biotechnology Ltd., an Israeli biotech company (NASDAQ: APOP). National Securities Corporation and Dawson James Securities, Inc. acted as co-managers for the offering. “We applaud ZYXI on the achievement of this important milestone, one that positions the Company’s to capitalize on its market objectives while it continues to develop its pain management and rehab electrotherapy devices,” said Gregory Sichenzia, partner of Sichenzia Ross Ference LLP. Press Release – New York, NY – January 5, 2019 – Sichenzia Ross Ference (“SRF”), a leading securities and corporate law firm, is pleased to announce that the firm has represented Boulder Botanicals & Biosciences Laboratories, Inc. (BBBL), a holding company which owns and operates several companies operating within the CBD production, extraction and distribution industries in a private placement of shares of common stock at a price of $1.00 per share resulting in gross proceeds of approximately $5,000,000. NEW YORK, Jan. 03, 2019 — Sichenzia Ross Ference LLP, a leading securities and corporate law firm, announced today that its mergers and acquisitions team represented New Age Beverages Corporation (NASDAQ:NBEV) in its acquisition of Morinda Holdings, Inc., a Utah-based healthy beverages and lifestyle company with operations in more than 60 countries worldwide. The consideration for the merger was $85 million, comprised of $75 million in cash and $10 million paid in 2,016,480 shares of New Age common stock based on the 40-day volume-weighted average price calculated through December 20, 2018. The transaction was subject to the pre-merger notification requirements of the Hart-Scott-Rodino Antitrust Improvements Act of 1976, as amended and closed on December 21, 2018. The full Sichenzia Ross release can be found here. New York, Dec. 18, 2018 – Sichenzia Ross Ference LLP (www.srf.law), a leading corporate securities and full service law firm, today announced that it closed on a $49.3 million multifamily real estate portfolio acquisition for its client, a dynamic and growing real estate investment firm. The transaction included the assumption of a $35 million debt facility on the portfolio of assets. The Sichenzia Ross Ference LLP team was led by Real Estate partner Anthony Ficara, partner Mendy Piekarski and counsel Michael Wickersham. The long-awaited resurgence of the Agriculture Improvement Act of 2018, colloquially referred to as the 2018 Farm Bill, became more promising yesterday as its latest iteration received overwhelming bipartisan approval as it decidedly passed through the Senate on Tuesday, by a vote of 87-to-13, and easily passed through the House of Representatives, by a vote of 369-to-47. Now, the reality of the 2018 Farm Bill awaits the hand of President Donald Trump, who is expected to sign it into law before the end of the month. Most notable, the 2018 Farm Bill is set to legalize hemp, a plant that’s nearly identical to marijuana and is a key source of the highly popular health and wellness ingredient cannabinoid, or CBD. If signed into law, the 803-page Bill would be the most significant change to the Controlled Substances Act (the “CSA”) since 1971, which is illustrative of the federal government’s recognition that outdated federal regulations do not sufficiently distinguish between hemp, including CBD derived from hemp, and CBD derived from marijuana. In contrast to its predecessor, the voluminous 2018 Farm Bill expressly and unambiguously provides that the definition of “marihuana” under the CSA would be amended to exclude “hemp”, which, in turn, is defined as “the plant Cannabis sativa L. and any part of that plant, including the seeds thereof and all derivatives, extracts, cannabinoids, isomers, acids, salts, and salts of isomers, whether growing or not, with a delta-9 tetrahydrocannabinol concentration of not more than 0.3 percent on a dry weight basis.” Succinctly, if signed into law, the 2018 Farm Bill would be the first piece of federal legislation that explicitly carves out certain permutations of CBD containing tetrahydrocannabinol (“THC”), the active ingredient that causes the psychoactive effect of marijuana, from the CSA. Against this backdrop, financial institutions that have been reluctant to establish relationships with hemp-related business because of the inclusion of “hemp” in the CSA’s definition of “marihuana” and the February 14, 2014 guidance from the Department of the Treasury Financial Crimes Enforcement Network, may now turn a new leaf and embrace the estimated $1 billion industry. Relatedly, and in furtherance of the federal government’s progressive initiative toward the proliferation of the rapidly increasing hemp market, the 2018 Farm Bill also places far-reaching limitations on the States’ abilities to prevent the transport of hemp across interstate commerce. Specifically, the 2018 Farm Bill states, in relevant part, that “No State or Indian Tribe shall prohibit the transportation or shipment of hemp or hemp products,” so long as such hemp or hemp products are produced in accordance with discrete guidelines set forth elsewhere in the 2018 Farm Bill. Notwithstanding, this monumental shift in cannabis reform should not be misconstrued as a blanket legalization of hemp at the state level. Conversely, the 2018 Farm Bill provides a roadmap for states and Indian tribes to become the “primary regulators” of hemp production by submitting “a plan under which the State or Indian tribe monitors and regulates” the production of hemp within its borders. In this regard, those interested in getting involved in the hemp industry, in any capacity, are cautioned to review the applicable state law, which may carry more stringent restrictions than the 2018 Farm Bill, as well as any other pertinent federal authority. Finally, it is worth noting that nothing in the 2018 Farm Bill implicates the status quo of marijuana or CBD derived from marijuana, both of which remain illegal under federal law. And while the legal landscape remains somewhat hazy, bipartisan agreement of the 2018 Farm Bill marks a long-overdue, massive step forward for the U.S. hemp industry. S. Ashley Jaber is an associate in the firm’s Corporate and Securities practice group. Ms. Jaber represents both public and privately-held clients in a broad range of corporate and securities matters. She also assists clients in the filing of registration statements and in complying with their ongoing SEC reporting obligations. Robert Volynsky is an associate in the firm’s Litigation Department. Mr. Volynsky engages in securities and general commercial litigation in both state and federal courts and before regulatory agencies, including the Securities and Exchange Commission and the Financial Industry Regulatory Authority. Mexico City, Dec. 03, 2018 – QPAGOS (QPAG), a leading provider of electronic payments solutions, today announced that it retained Sichenzia Ross Ference LLP (www.srf.law) to represent QPAG on general securities matters. Read the full release about Sichenzia Ross Ference and QPAGOs, here. Sichenzia Ross Ference LLP Represents A.G.P/Alliance Global Partners in $10 Million Public Offering for Creative Realities, Inc.
Press Release – New York, NY – November 19, 2018 – Sichenzia Ross Ference LLP announced today that it has represented A.G.P/ Alliance Global Partners (through Euro Pacific Capital) as sole book running manager in the underwritten public offering of shares of Common Stock and Warrants of Creative Realities, Inc. (NASDAQ: CREX). Press Release – New York, NY – November 14, 2018 – Sichenzia Ross Ference LLP announced today that it has represented New Age Beverages Corporation (NASDAQ “NBEV”) in an underwritten public offering of 14,835,000 shares of its common stock, which includes a full simultaneous exercise of the underwriters 15% over allotment option, at a public offering price of $3.50 per share for gross proceeds to NBEV of $51,922,500. Roth Capital Partners and A.G.P/ Alliance Global Partners acted as joint book-running managers for the offering. Please click here to read the full Sichenzia Ross release. Press Release – New York, NY – November 13, 2018 –Sichenzia Ross Ference LLP is proud to be included in the 2019 list of “Best Law Firms” ranking issued by U.S. News & World Report. The firm was recognized as a Metropolitan “Best Law Firm” in the Corporate Law practice area. Based on a rigorous evaluation process, “Best Law Firm” is a prestigious list in which the firm is honored to be recognized. Sichenzia Ross Ference Represents Pareteum Corporation in Definitive Agreement to Acquire iPass, Inc.
Press Release – New York, NY – November 13, 2018 – Nationally recognized securities and corporate law firm Sichenzia Ross Ference LLP announced today that it represented Pareteum Corporation (Nasdaq: TEUM), a cloud software platform, as it entered into a definitive agreement under which it will acquire iPass, Inc. (Nasdaq: IPAS), a provider of global mobile connectivity, in an all-stock transaction. Pareteum anticipates achieving more than $15 million in annual cost synergies; more than $12 million of such synergies are expected to be realized in the first year. Press Release – New York, NY – November 1, 2018 – Sichenzia Ross Ference LLP announced today that it has represented Novume Solutions, Inc. (NASDAQ “NVMM”) in a public offering of 4.125 million shares of its common stock at a price of $.80 per share for gross proceeds to the Company of $3.3 million. New York, NY – October 24, 2018 – Sichenzia Ross Ference LLP, announced today that it represented Wize Pharma, Inc. (OTCQB: “WIZP”), a clinical stage Israel based U.S. public company focused on the treatment of ophthalmic disorders company, in a private placement with institutional and accredited investors of 3,100,000 shares of common stock at $1.00 per share and 1,350 shares of newly created Series A preferred stock which is convertible at $1.00 per share. Press Release – New York, NY – October 18, 2018 – Sichenzia Ross Ference LLP partner Jay Kaplowitz was quoted in a the Washington Post discussing Venezuela’s foreign creditor efforts to lay claim to Citgo. Please read the full article here. Press Release – New York, NY – October 15, 2018 – Sichenzia Ross Ference LLP announced today that it acted as general counsel for Rusoro Mining Limited (TSX-V: “RML”) in its $1.28 billion settlement with Venezuela after the government’s 2011 expropriation of Rusoro’s gold mining properties in the country. Press Release – New York, NY – October 15, 2018 – Sichenzia Ross Ference LLP founding partner Gregory Sichenzia was quoted in a Law360 article discussing IPO trends related to nine upcoming offerings. Please read the full article here. Press Release – New York, NY – October 9, 2018 – Sichenzia Ross Ference LLP announced today that it has sponsored Deep Yellow Ltd (OTCQX: “DYLLF”), an Australian specialist uranium mining company with major operations in Namibia, for the OTCQX. Sichenzia Ross is a qualified firm responsible for providing guidance on OTCQX requirements and recommending membership. The Sichenzia Ross team was led by Partner Darrin Ocasio. New York State Bar Association on October 3, 2018 about Banking and Securities Law related to Cannabis companies, both public and private. This presentation, which is part of a full day symposium, is Continuing Legal Education (CLE) accredited. Press Release – New York, NY – October 1, 2018 – Sichenzia Ross Ference LLP founding partner Gregory Sichenzia was quoted in a Business Insider article discussing Tesla and its CEO Elon Musk’s recent settlement with the SEC. Please read the full article here. Press Release – New York, NY – September 14, 2018 – Sichenzia Ross Ference LLP announced today that it has sponsored AusCann Group Holdings Ltd (OTCQX: “ACNNF”), an Australian pharmaceutical company that produces high quality, affordable cannabinoid medicine, for the OTCQX. Press Release – New York, NY – September 14, 2018 – Sichenzia Ross Ference LLP announced today that it has sponsored Zelda Therapeutics Ltd (OTCQX: “ZLDAF”), an Australian biotechnology company studying the use of medicinal cannabis to treat a variety of ailments, for the OTCQX. Press Release – New York, NY – September 14, 2018 – Sichenzia Ross Ference LLP announced today that it has sponsored Deep Yellow Ltd (OTCQX: “DYLLF”), an Australian specialist uranium mining company with major operations in Namibia, for the OTCQX. Sichenzia Ross is a qualified firm responsible for providing guidance on OTCQX requirements and recommending membership. The Sichenzia Ross Ference team was led by Partner Darrin Ocasio. Press Release – New York, NY – September 5, 2018 – Sichenzia Ross Ference LLP announced today that it has represented AIT Therapeutics, Inc. (OTC: “AITB”) in a common stock purchase agreement with Lincoln Park Capital Fund, LLC a Chicago-based institutional investor. Press Release – New York, NY – August 24, 2018 – Sichenzia Ross Ference LLP announced today that it has represented New Age Beverages Corporation (NASDAQ “NBEV”) in a loan and security agreement with Siena Lending Group LLC which provides for a $12 million aggregate principal amount revolving credit facility, which is subject to availability based on eligible accounts receivables and eligible inventory of the Company. Press Release – New York, NY – August 24, 2018 – Sichenzia Ross Ference LLP announced today that it has represented New Age Beverages Corporation (NASDAQ “NBEV”) in a public offering of 8.2 million shares of its common stock at a price of $1.28 per share for gross proceeds to NBEV of $10.5 million. Press Release – New York, NY – August 15, 2018 – Sichenzia Ross Ference, a leading securities and corporate law firm, shared today that founding partner Marc Ross spoke at the Benzinga Cannabis Capital Conference in Toronto, Canada on August 17, 2018, where Cannabis related companies and professionals will be gathering to discuss the fast growing Cannabis industry. Press Release – New York, NY – August 14, 2018 – Sichenzia Ross Ference Kesner LLP founding partner Gregory Sichenzia was quoted in a Business Insider and CTPost article discussing Elon Musk’s tweets about potentially taking Tesla private. Sichenzia mentioned that Musk includes at least one statement that could open the Tesla CEO to further scrutiny. Please read the full article here. Press Release – New York, NY – August 8, 2018 – Sichenzia Ross Ference Kesner LLP founding partner Gregory Sichenzia was quoted in a Business Insider article discussing Elon Musk’s tweets about potentially taking Tesla private. Sichenzia discussed potential rationale and motivation for the tweets, and also emphasizes the need for public company executives to seek legal advice prior to communicating with the public. Please read the full article here. Press Release – New York, NY – June 19, 2018 – Sichenzia Ross Ference, a leading securities and corporate law firm, announced today that founding partner Marc J. Ross was recently featured on a podcast with The Green Rush Daily, entitled “Let’s Get Legal.” During this podcast he discussed the conflicts between state and federal law and their impact upon the marijuana industry, generally, as well as the increasing acceptance of marijuana and marijuana related businesses on the state level, specifically. Sichenzia Ross Ference Kesner LLP Represents ThinkEquity, a Division of Fordham Financial Management as Sole Book-Running Manager on $18 Million Public Offering of Securities of Trovagene, Inc.
Press Release – New York, NY – June 7, 2018 – Sichenzia Ross Ference, a leading securities and corporate law firm, announced today that founding partner Marc J. Ross recently presented a webinar entitled “Weeding Out the Confusion In Marijuana Law” at the Clear Law Institute, on Thursday, June 7, 2018. This presentation, which is Continuing Legal Education (“CLE”) accredited, discussed the conflicts between state and federal law and their impact upon the marijuana industry, generally as well as the banking, tax and various other issues facing the growing marijuana industry, specifically. New York, NY – June 7, 2018 – Partner Marc Ross will be presenting a webinar course at the Clear Law Institute, “Weeding Out the Confusion In Marijuana Law”, on Thursday, June 7, 2018. This presentation, which is Continuing Legal Education (“CLE”) accredited, will discuss the conflicts between state and federal law and their impact upon the marijuana industry, generally as well as the banking, tax and various other issues facing the growing marijuana industry, specifically. More information about the webinar is available here. New York, NY – May 21, 2018 – Nationally recognized securities and corporate law firm Sichenzia Ross Ference Kesner LLP (SRFK) recently achieved a successful settlement on behalf of a cryptocurrency investor. New York, NY – May 14, 2018 – Nationally recognized securities and corporate law firm, Sichenzia Ross Ference Kesner LLP, announced today that it represented Pareteum Corporation (NYSE: TEUM), a leading international provider of mobile networking software and services to the Mobile Network and Internet of Things markets, in a registered direct offering of 2,440,000 shares of common stock. The purchase price per share was $2.50. Pareteum received gross proceeds of $6.1 million. May 2, 2018 — New York, NY. Sichenzia Ross Ference Kesner LLP (“SRFK”) represented The Acolyte Group, a New York based provider of fully integrated LED lighting systems, in the sale of its entire business to General LED, a portfolio company of Houston, Texas based private equity firm Cap Street Group. 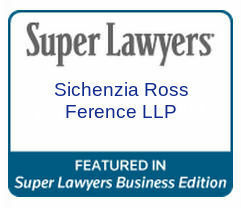 Sichenzia Ross Ference Kesner LLP Represents A.G.P/ Alliance Global Partners (through Euro Pacific Capital) in $8 Million Public Offering of Common Stock of Cocrystal Pharma, Inc.
Press Release – New York, NY – May 3rd, 2018 – Sichenzia Ross Ference Kesner LLP announced today that it has represented A.G.P./Alliance Global Partners, offering securities through Euro Pacific Capital, in an underwritten public offering of shares of common stock of Cocrystal Pharma, Inc. (NASDAQ: COCP). Cocrystal sold an aggregate of 4,210,527 shares of common stock at a price of $1.90 per share. Cocrystal is a clinical stage biotechnology company discovering and developing novel antiviral therapeutics that target the replication machinery of hepatitis viruses, influenza viruses, and noroviruses. The Sichenzia Ross Ference Kesner LLP team was led by partners Marc Ross, Avital Perlman and Tom Rose. Press Release – New York, NY – April 27, 2018 – Sichenzia Ross Ference Kesner LLP announced today that it represented Sunworks, Inc. (NASDAQ: SUNW), a premier provider of high performance solar power systems, in a $3.75 million two year term loan transaction. The lender is CrowdOut Capital LLC. Management, including the Chief Financial Officer, also participated in $750,000 of the loan amount. Press Release – New York, NY – April 11, 2018 – Sichenzia Ross Ference Kesner LLP announced today that it has represented Rodman & Renshaw, a unit of H.C. Wainwright, as Exclusive Placement Agent and Boenning & Scattergood, Inc. as co-placement agent in a public offering of Series A Preferred stock for Medical Transcript Billing, Corp. (NASDAQ: MTBC). Press Release – New York, NY – March 6, 2018 – Sichenzia Ross Ference Kesner LLP announced today that it has represented AYTU Bioscience, Inc. (NASDAQ: AYTU) in a $12 million public offering of Class A Units, comprising common stock and warrants and Class B Units comprising Series B Preferred Stock and Warrants. A total of 19,520,000 Class A Units were sold at a price of $0.45 per unit and 3,216 Class B Units were sold at a price of $1,000 per unit. The warrants are exercisable at a price of $0.54 per share for a term of 5 years. Joseph Gunnar & Co. acted as the Sole Book Running Managing Underwriter and Fordham Financial Management, Inc. acted as the Lead Managing Underwriter. Press Release – New York, NY – February 8, 2018 – Sichenzia Ross Ference Kesner LLP announced today that it represented MoneyOnMobile, Inc. (“MOMT”), a global mobile payments technology and processing company, in a private placement offering with accredited investors where MOMT sold an aggregate of 5,567 shares of Series F Preferred Stock. Sichenzia Ross Ference Kesner LLP Represents Roth Capital Partners and Brookline Securities in a $5.5 Million Public Offering of QBIO Med. Press Release – New York, NY – February 1, 2018 – Sichenzia Ross Ference Kesner LLP announced today that it has represented Roth Capital Partners LLC as lead Placement Agent and CIM/Brookline Securities, as Co-Lead Placement Agent in a public offering of Common Stock and Warrants Series for QBIO Med, Inc. (OTC.QBIO). QBIO is a biotechnology acceleration and development company focused on acquiring and in-licensing life science therapeutics products. Press Release – New York, NY – January 25, 2018 – Securities and corporate law firm Sichenzia Ross Ference Kesner LLP is pleased to announce that the firm has represented Teamtronics, Inc., a manufacturer of portable, rugged computerized equipment for industrial and field automation in its acquisition of High-Tech Solutions’ Automotive Pattern Recognition (“HTS-APR”) business. The acquisition includes all applicable assets including the intellectual property and customer base. The purchase price was approximately $4.0 million. Press Release – New York, NY – January 23, 2018 – PlacementTracker, part of the Business Intelligence Division of Informa PLC, has ranked Sichenzia Ross Ference Kesner LLP as the #1 most active issuer counsel in the U.S. PIPE and private placement markets for 2017 by number of transactions. Press Release – New York, NY– December 21, 2017 – The law firm of Sichenzia Ross Ference Kesner LLP today announced the promotion of A.R. John Hitchings, Jay Yamamoto and Mendy Piekarski to Partner. Happy Holidays from Sichenzia Ross Ference Kesner! Press Release — October 3, 2017 — New York, NY — Sichenzia Ross Ference Kesner LLP was recently cited as the top-ranked issuer legal counsel with eight PIPE placements advised in the third quarter 2017, according to The Deal. The Deal’s exclusive League Table ranking tracks PIPEs that raise at least $1 million between January 1 and September 15, 2017. To read the press release, please click here. Press Release – New York, NY – September 17, 2017 – Founding Partner Gregory Sichenzia spoke with the Los Angeles Times’ technology reporter Tracey Lien to discuss the impact of a potential investment in Lyft by Google, as the technology giant already has a size-able investment in Uber, another ride sharing company. Sichenzia was quoted numerous times throughout the article, which can be found here. Sichenzia Ross Ference Kesner LLP is pleased to announce that as of August 25, 2017 we have moved to a new location at 1185 Avenue of the Americas, 37th Floor, New York, NY 10036. As we enter our 20th year as a leading corporate, securities and litigation law firm, and expand our practice areas to include real estate and trusts and estates, our move to this vibrant mid-town New York City location will help us to better serve our diverse client base in New York and around the world. This new location provides our many colleagues and clients with facilitated ease of travel in and out of the city. We will share photos of the new office space as soon as we have them. Please feel free to contact marketing@srf.law with any questions — we hope to see you soon in our new home! Press Release – New York, NY – August 16, 2017 – Sichenzia Ross Ference Kesner LLP partner, Benjamin Tan joined China Internet Nationwide Financial Services, Inc. (NASDAQ: CIFS) , a provider of financial advisory services to the underserved small-to-medium sized enterprises in China, in ringing the closing bell at Nasdaq MarketSite in Times Square on August 15, 2017. CIFS recently closed on an initial public offering of 2,023,146 ordinary shares for a total of $20,231,460 at $10.00 per share on July 31, 2017 and its shares currently trade on the NASDAQ Global Market.